SES is investing in the Seraphim Space Fund in order to support innovation in the satellite industry and to encourage Research and Development (R&D) efforts across the markets served by satellite — the company will also participate in the fund’s Advisory Board. Seraphim Space Fund is a new venture capital fund launched by Seraphim Capital with a primary focus to invest in projects that are commercializing data about the Earth, collected by either satellite or Remotely Piloted Aircraft Systems (RPAS). Seraphim also invests in the broader technology ecosystem which supports the satellite and RPAS infrastructures and applications across a broad range of vertical markets, including construction, logistics, agriculture, finance, with a key focus on the insurance market - using insights from airborne data to evaluate risk, monitor assets and assess claims. 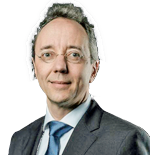 Christophe De Hauwer, Chief Strategy and Development Officer at SES. Christophe De Hauwer, Chief Strategy and Development Officer at SES, noted that the company is focused on providing reliable and secure satellite solutions to customers in the firm's Video and Networks market segments. By investing in the Seraphim Space Fund, SES will be working with other leading industry partners to push beyond the capabilities of satellites. Seraphim is a London-based venture capital fund manager. Seraphim typically invests at Series A stage into IP-led businesses that have the potential to redefine large existing markets or create entirely new ones. Over the last decade, this has included artificial intelligence (computer vision, neural networks, machine learning), the Internet of Things (software, sensors) and advanced materials (polymers, semiconductors). Collectively, the Seraphim team has more than 100 years’ experience, having invested in more than 180 early and growth stage businesses.